My freelance writing career has been typically feast or famine. This September I am feasting. In addition to the Maisonneuve piece I mentioned in my last post, and a story about Tangier in this month’s Westworld Magazine, I wrote the cover story in today’s Swerve Magazine. In it, I profile five great amateur chefs of Calgary and attempt to understand what motivates them to make magic in their home kitchens. The photos, by Marc Rimmer, are marvelous. Since any discussion of great home chefs has to include someone’s grandmother, I thought I might as well include my own. 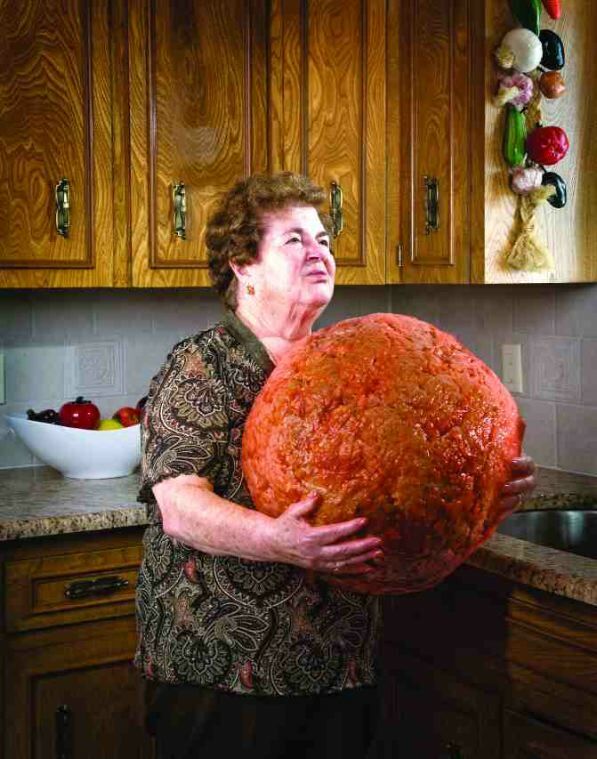 That’s her holding the giant meatball.